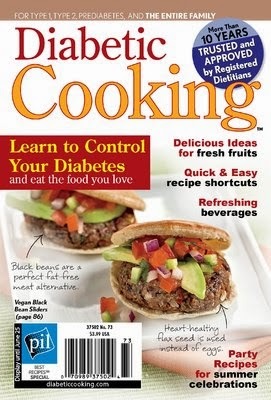 Get a Diabetic Cooking Magazine subscription for only $4.50 (Reg $23.99) via Discount Mag. Don’t want to miss a single deal? Go here to get Hot Deals sent directly to your Inbox! Thanks for joining Your Retail Helper. This post may contain affiliate links. Go here to see our full Disclosure Statement. Looking for a Coupon or Deal? ©2010–2013 Your Retail Helper All rights reserved. No content on this site may be reused in any fashion without written permission. This work is licensed under a Creative Commons Attribution 3.0 United States License. THIS WORK BY YOUR RETAIL HELPER IS LICENSED UNDER A CREATIVE COMMONS LICENSE. YOU ARE FREE TO USE ANY INFORMATION FOUND ON THIS SITE AS LONG AS PROPER CREDIT IS GIVEN TO YOUR RETAIL HELPER AND A LINK BACK IS PROVIDED. IF YOU HAVE ANY QUESTIONS, PLEASE CONTACT US.